Personal Injury Awards Nominate Stockport Solicitors Again! 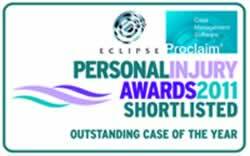 Multi award winning Abney Garsden McDonald solicitors have been nominated in two award categories in the 2011 Eclipse Proclaim Personal Injury Awards. The awards, which are in their fourth year, celebrate the excellence of individuals and organisations across the whole of the personal injury claims sector. In last years awards the firm won Personal Injury Team of the Year. 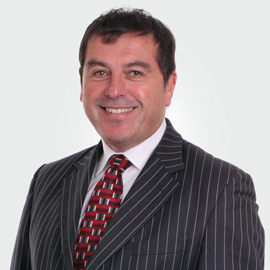 Commenting on the awards, Managing Partner Peter Garsden said: “To be in the finals of this prestigious competition with such esteemed company is indeed an honour. Let’s hope that we do as well this year as last. 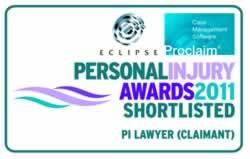 I would also like to wish all the other finalists the very best of luck.” Peter has been nominated in the Claimant Personal Injury Lawyer of the Year category. 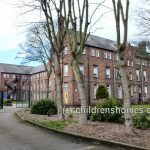 He has devoted the last 17 years of his professional life to supporting the victims of child abuse and has been Lead Solicitor in over 25 different Group Actions involving over 1000 Claimants. 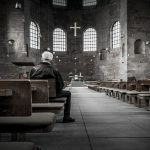 In addition the firm has also been short listed in four categories in the Law Society Excellence Awards, the winners of which will be announced at an exclusive awards ceremony to be held on the 18th October at Old Billingsgate in London. Earlier this year the firm won Small Firm of the Year at the Manchester Legal Awards. The winners of the Personal Injury Awards will be announced at ceremony to be held on the 25th November at the Riverbank Park Plaza Hotel in London.